Edward Beccari, explorer, zoologist, botanist and ethnologist, Florentine, after its long wanderings in the forests of Borneo, having taken part in the purchase of the Bay of Assab, Keren visited the region, crossed the wildest areas of the island Celebes, explored New Guinea, the Moulucche etc. where reported rare zoological and botanical specimens, in 1876 he retired and devoted himself to agriculture in Radda in family lands. The innate passion for collecting and not abandoned, turned into wine by ethnologist began a collection of the best vintages of wines from the same products. The company still has in his private wine cellar, the bottles from 1876 to 1931. Located about 1 km from the town of Radda in Chianti, Fattoria Vignavecchia consists of a large historic farmhouse renovated and enlarged in 1997 with a modern winery. And ‘that take place here every stage of wine making, wine making from harvest to bottling the entire production. A part of the premises of the winery is dedicated to the aging of wine in wooden barrels. 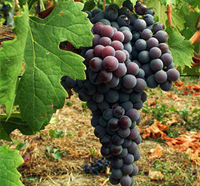 The vineyards consist of 21 plots and grown primarily with Sangiovese and color the presence of minor canaiolo and merlot. There are also old and new varieties of Malvasia (for the production of Vin Santo) and in 1994 was planted an acre of Chardonnay. The soils are mostly composed of shales, siltstones with that material limestone. These soils generally have low fertility and is’ that which, naturally, limits the excessive production of grapes.